Graeme Bourke is a Senior Lecturer in Social Science Education and the Team Leader of the Social Science Education Team at UNE. Dr Bourke studied at Sydney University from 1973-76, receiving a Bachelor of Arts degree and a Diploma in Education. 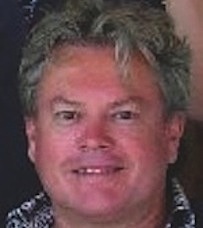 He taught History at various secondary schools, both state and independent, in NSW and Queensland from 1977 until 2003. In 2002, after years of part-time external study, he was awarded an Honours degree in ancient Greek history from the University of New England and in 2004 moved to Armidale to continue studying. He was awarded a PhD in 2008, returning to full-time work as a Lecturer in the School of Education in 2009. Since then, he has published in the fields of ancient Greek history and historical pedagogy. In January 2015, he was promoted to Senior Lecturer.